Diving and forming disconnected sentences may also be clues to the disease. Now, scientists want to diagnose it before the first symptoms. I went to the store to get things, and when I got there, I kept looking for flour, sugar and eggs. But they did not have all the ingredients I needed, so I gave up. I decided to go home ... So, um, I came back with nothing, until I found the woman in the elevator ... The one with a cat, who is always very nice. But, well ... I could not really make the cake. " The phrase above could have come straight from the mouth of an Alzheimer's patient - years before the first cognitive symptoms began to appear. Repetitive vocabulary, lingering stories and difficulty getting to the point would be the major early reflexes of the disease in language, according to new research conducted at the Massachusetts General Hospital. Researcher Janet Cohen Sherman brought together 46 healthy people - 22 young people and 24 elderly people - and 22 patients with mild cognitive impairment (LCI), a precursor to Alzheimer's disease. They have gone through a number of tests for researchers to assess language changes - and understand which are natural for age and which are characteristics of early stages of dementia. The experiments asked participants to form sentences with three simple key words, such as pen , paper and ink , or water , pot and stove . Younger participants wrote simple, straightforward phrases: "I wet the pen in ink and wrote it on paper," and "I boiled water in the pot on the stove." Older, healthier volunteers also tended to be concise. The elderly with TCL ended up telling long and vague stories like the first paragraph of this text . The longer they stretched, the more they lost to form the connection between the three objects. The results of the research are the first to scientifically test the hypothesis that Alzheimer's manifests itself very early in language. Many famous accounts support this hypothesis. Professor Sherman quotes, in her work , the case of writers Iris Murdoch and Agatha Christie. The first was famous for using rare and obscure words in his books. In his latest work, Jackson's Dilemma ( Jackson's Dilemma , with no English translation), his signature style was lost and the repetition of words increased. The book was published a year before the author was diagnosed with Alzheimer's. The difference was so great that a group of researchers did the analysis of the works word by word , using artificial intelligence, to show Murdoch's cognitive decline. With Agatha Christie, the diagnosis has never been confirmed, but the vague and confusing language she uses in her later books also raises the suspicion that at the end of her life the master of mysteries suffered from some form of dementia. The decline of language does not just catch writers: another group also studied the speeches of American President Ronald Reagan. Throughout his presidential years, he failed to use unusual words and his speeches were filling up with expressions like " thing" and terms of completion: " then" , " actually" , " basically" , evidence that he needed to win Time to remember the correct word and eventually have to replace precise words with generic substitutes. 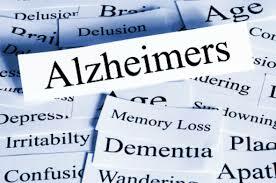 What the researchers want to do with this information, though, is to bring more hope to Alzheimer's patients. She plans to develop a language-testing methodology that can detect these small signs in still healthy people so that the disease begins to be treated before memory loss - and poetic damage - becomes very serious.